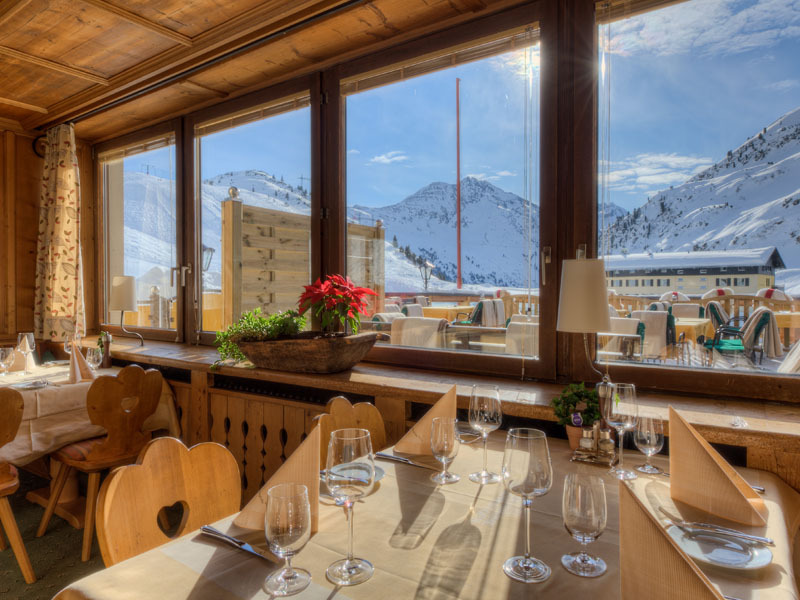 Our 21 rooms and suites, without exception offering spectacular vistas of the Arlberg mountains, are characterised by tasteful traditional furnishings and genuine alpine charm. Make your room your home away from home and find your own space to recharge your energy for new winter sport adventures the next day. 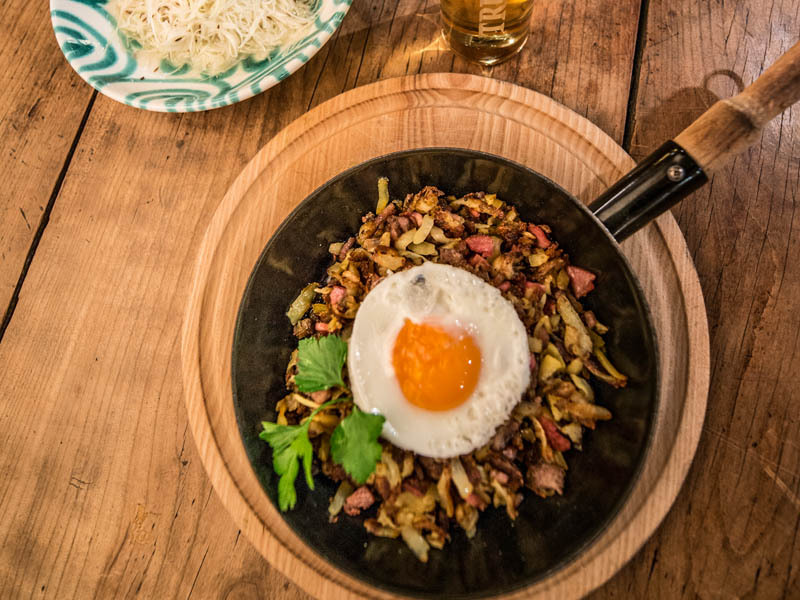 Enjoy authentic Austrian cuisine in our Christoph Stube restaurant and let your day come to an end with a digestive drink at our hotel bar. Bathrobes for the sauna area are provided for the duration of your stay. Our guests can also store their skiing equipment in our ski storage room. Free WiFi is available throughout the hotel. 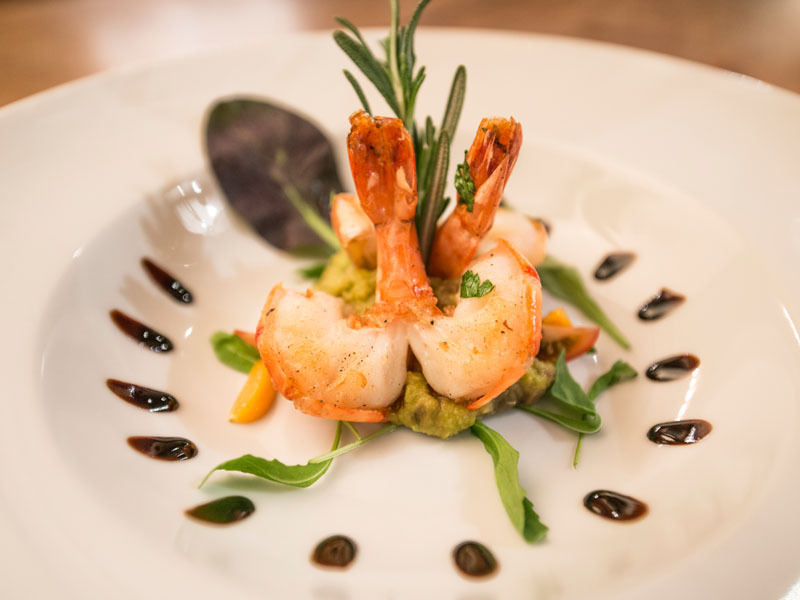 Our cuisine provides culinary delights! 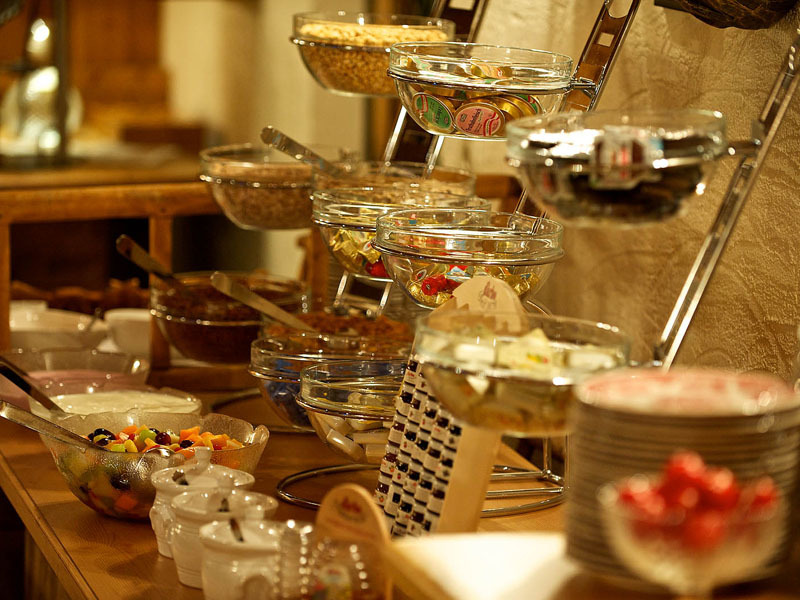 You can expect a substantial breakfast buffet from 8:00 a.m. to 10:00 a.m. with bread & pastries, fresh fruit, sausage and ham specialities, cheese, salmon, à la carte egg dishes and a lot more, an afternoon snack with varied soups & cakes from 3:00 p.m. to 5:00 p.m. and a 5-course dinner with three optional main dishes including a vegetarian dish and salad bar with delicious dressings in the evening.